As a teenager I remember watching Showaddywaddy on Top of the Pops. I remember their colourful teddy boy suits, their rocking and jiving on stage and of course their number one hit ‘Under The Moon of Love’ which went on to become a million seller. So when asked by the band’s former front man and now Manager, Dave Bartram, to take a couple of promotional pictures for their forthcoming fortieth anniversary tour I was thrilled with the prospect of meeting such legends. When the boys arrived at the small photo studio located on the outskirts of Leicester their effervescent personalities overflowed. Despite just having returned from a gig the night before they all looked as fresh as diasies. With only an hour booked we sped through the group and individual poses. One of my ideas was to amalgamate individual portraits into a seamless composition using green screen, a photographic technique that enables any background to be slotted into place behind the subject. Today only two of the original members remain drummer Romeo Challenger and bass player Rod Deas.The current line up also includes Paul Dixon and Rob Hewins on guitar, Dean Loach on keyboards and lead singer Andy Pelos, who have all become part of the band within the last five years. I first saw this talented line up play at The Winding Wheel, Chesterfield; if you want to experience Rock & Roll Music played at it’s very best I whole heartedly recommend Showaddywaddy as the band to see. I thank them for reacquainting me with such great songs as Pretty Little Angel Eyes, You’ve Got What It Takes, Hey Rock & Roll, I Wonder Why, Chain Gang, Heart Beat, Three Steps to Heaven and Sweet Little Rock & Roller, to name but a few of the band’s many hits. 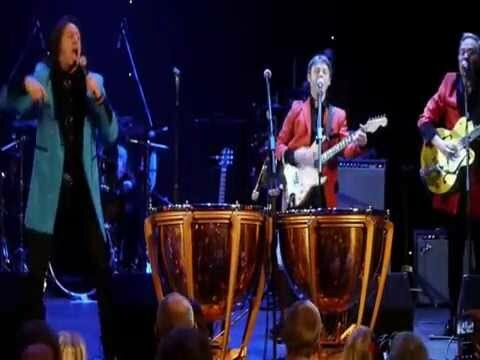 Showaddywaddy returned to Leicester to play at The Athena on November 9th 2013. Here’s a video clip of the boys performing one of my favourite songs, Hey Rock ‘n Roll, recorded at that fantastic gig. Enjoy! Long may they continue to Rock & Roll.